Team building should be empowering to the team and the community, feeling like they accomplished something that’s going to last with them for a long time. A community impact event builds strength and confidence with the team, while also providing a positive experience to the overall community, with events that build, inspire, and help the people around the community. A Boulder Community Impact Event helps empower your team and the community by creating an event that’ll help create bonds between your team and the people who live in the community that they interact with. Here are some ideas to help your team realize their potential and help the community around them in positively improve the Boulder community and lives of our youth. Boulder is a city that’s built on biking. From the city’s extensive city trail system to world-class mountain biking just outside of the city, Boulder loves its biking heritage. But not everyone gets to experience this kind of freedom. For many low income or disadvantaged families, children don’t get to experience the freedom that comes with owning their first bicycle. The Build-a-Bike program aims to construct bicycles out of the box and then donate them to the less fortunate children of the Boulder area, giving them their first taste of real freedom. Groups will break up into smaller team and be assigned a disassembled bike. 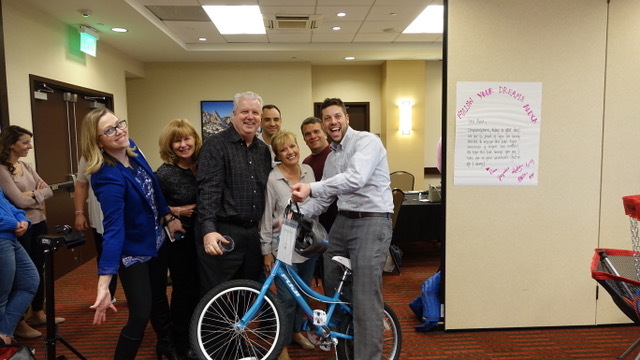 With guidance, teams will then use tools, and work together to assemble the bike and then feel pride as it’s donated to local children, many who are receiving the first bike of their life. Rocky Mountain National Park is the pride of America’s National Park System, with miles of pristine wilderness, lakes, waterfalls, wildlife, and spectacular mountain scenery. However even Rocky Mountain National Park needs a helping hand sometimes. 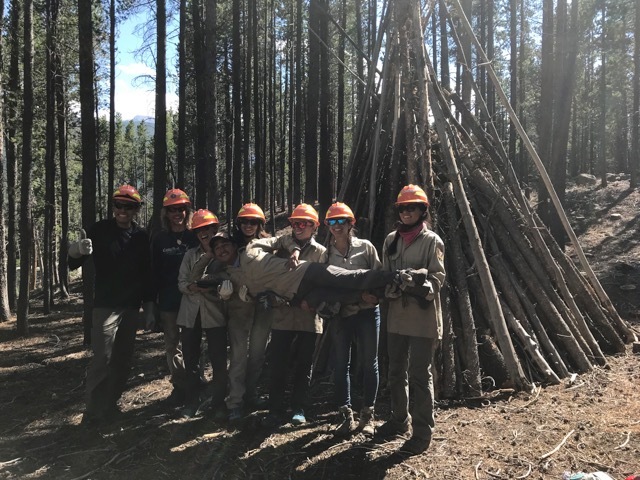 Fire mitigation, trailhead cleanup and maintenance, helping to restore existing structures, and doing work that’ll ensure that the park will be open for generations to come. Join us for a day in Rocky Mountain National Park where we’ll get into areas that few others get to see, and explore what helps to keep the park running, from clearing bush that could potentially be flammable, to keeping trails maintained and open by helping to keep the paths clean and easily walk-able. In the meantime you’ll be surrounded by Rocky Mountain’s breathtaking scenery and curious wildlife, helping to maintain wild spaces that are beloved by all Coloradans. This is a great way to see the Rockies in a way that few others get to experience. Colorado’s fisheries is one of its biggest industries, helping to support the health and vitality of our rivers, waterways, wild fish populations, and Colorado’s outdoors recreation industry. The work at Colorado’s fisheries goes largely unnoticed and sometimes unappreciated, helping to fuel more than just the trout dreams of Colorado’s fishermen. Helping out at Colorado’s fisheries is more then just a community impact event; it’s a full-on education about Colorado’s trout population, and what keeps one of Colorado’s most famed industries going. 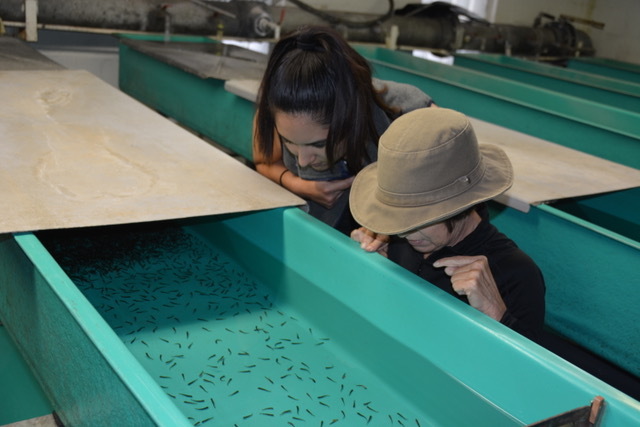 After learning about the hatchery operations we’ll explore the tanks of hundreds of juvenile trout, and then we’ll get our hands dirty and help to clean the tanks and increase the efficiency and work towards the sustainable goals of the hatchery. Afterwards we’ll understand the important role that hatcheries play in Colorado’s overall outdoor economy. This is a great way to see why hatcheries stand as one of Colorado’s most important outdoor establishments. Using Colorado Fishery Practices to improve sustainable fishery practices around the globe. Boulder is legendary for it’s expansive trail system, ranging from the meadows of Chautauqua Park to the mountain park and Flatirons set at the foothills of the Rocky Mountains. 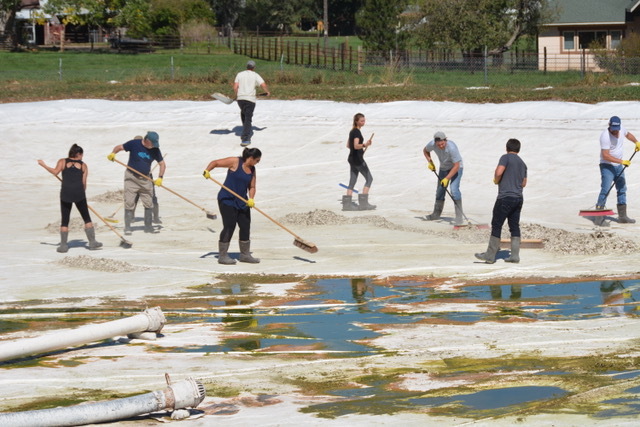 While the park is beloved by generations of Boulderites, keeping it in world-class condition takes the work and talents of many, from dedicated field workers, to volunteers who work tirelessly to keep Boulder pristine. When you volunteer on Boulder’s trails, you’re helping to establish a legacy that lasts among generations of runners, hikers, bikers, and outdoor enthusiasts across the city, having fun in some of the country’s most spectacular scenery, having fun, and working together to keep the city’s trails in tip-top shape. The iconic Flatirons rise majestically to the West and the plains of Denver in the east, as we build and oversee trails on the foothills of the Continental Divide flank us. It’s a great way to get dirty, work hard physically, have fun, and leave a lasting legacy on Boulder’s outdoor scene. Afterwards we’ll even get to revel in the accomplishment while enjoying beers from some of Colorado’s most famed breweries. There is no better way to experience team building in Colorado then to engage in an activity that helps people as it helps your team. 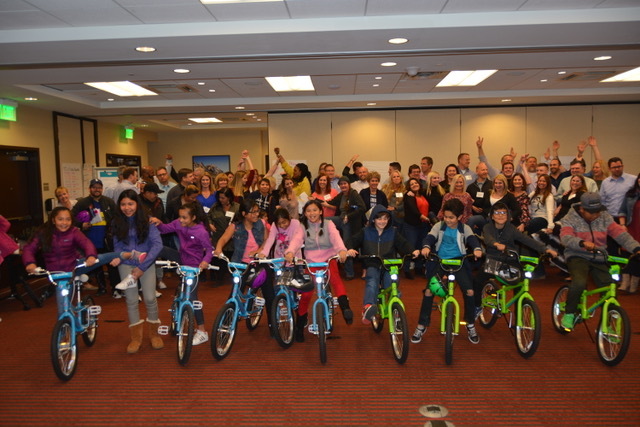 Community Impact Events are fun, engaging, and rewarding in more ways than one. Call 720 242 9828 and explore what a community impact team building event might do for your company and team.